Look at you! You budding archeological wanderer. 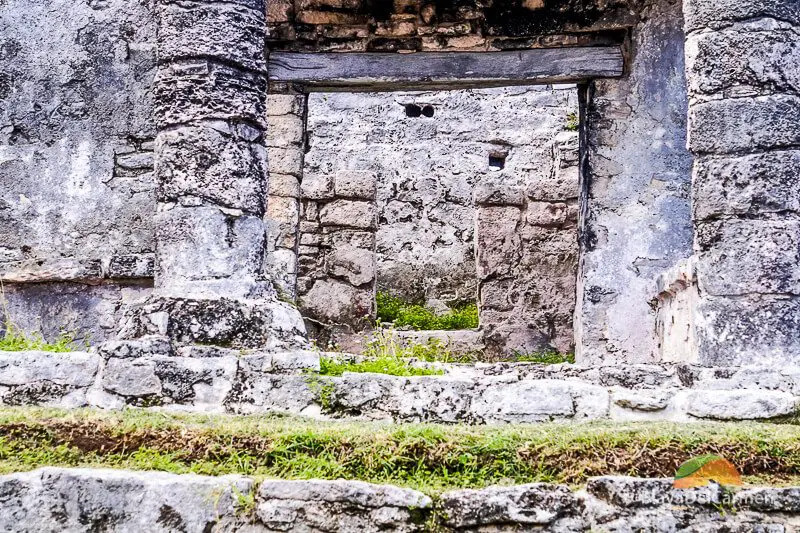 Discover everything you need to know about the infamous Tulum Ruins of Mexico. 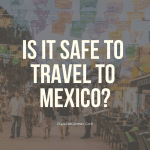 …As you immerse yourself into Mexico’s most enchanting histories. This awe-inspiring cliffside Mayan Kingdom is your chance to travel back in time! 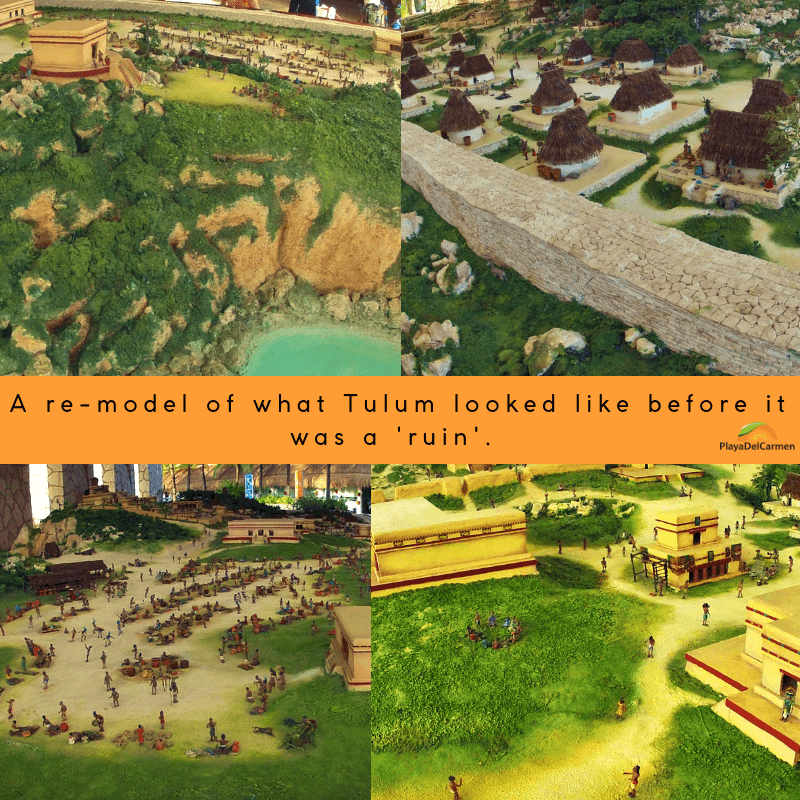 Where are the Tulum Ruins? Are the Tulum Ruins worth visiting? A MUST-SEE Bucket List Activity! All aboard the PlayaDelCarmen.Com time machine, we’re going right back to the 13th and 14th centuries! It’s time to check this one off your list! 1. 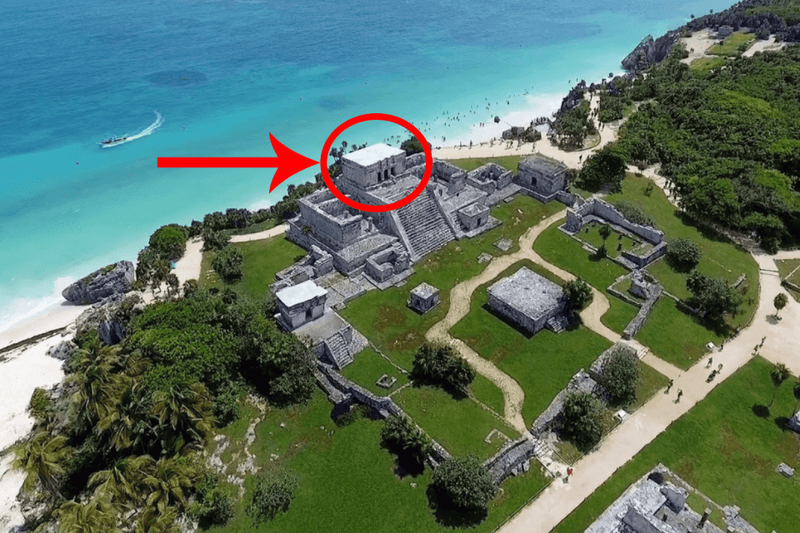 Where Are the Tulum Ruins? 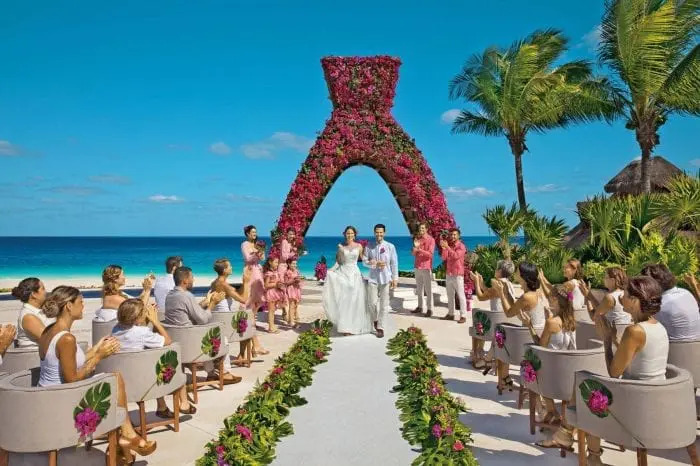 Located 100 miles (62 km) to the south of Playa del Carmen (around 30 minutes) and 80 miles (128 km) from Cancun (around 1 hour 10 minutes). The magical ruins of Tulum are walled into the east and face the Caribbean Sea to the west. and Cobá as well as to other communities and their entities to the south in what is now Central America. 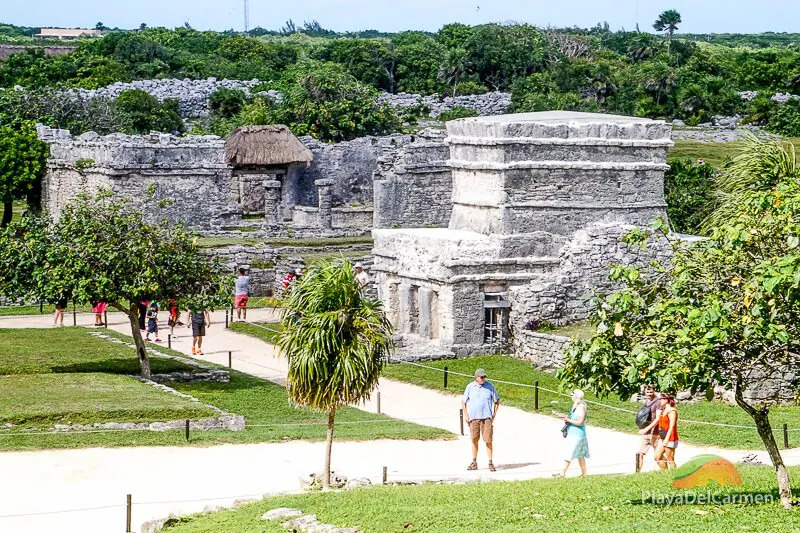 Thanks to its strategic location, Tulum proved to be one of the most powerful city-states during the 13th and 14th centuries, particularly following the fall of a rival city of Mayapan. Back in their day, the Mayan ruins surely presented an imposing figure for seafaring visitors to the walled city. In fact, when the Spanish first arrived there in 1518 they considered Tulum to be as large as Sevilla. However, shortly after the Spaniards began their occupation of Mexico, the ancient Mayas who once called this majestic site their home abandoned it. 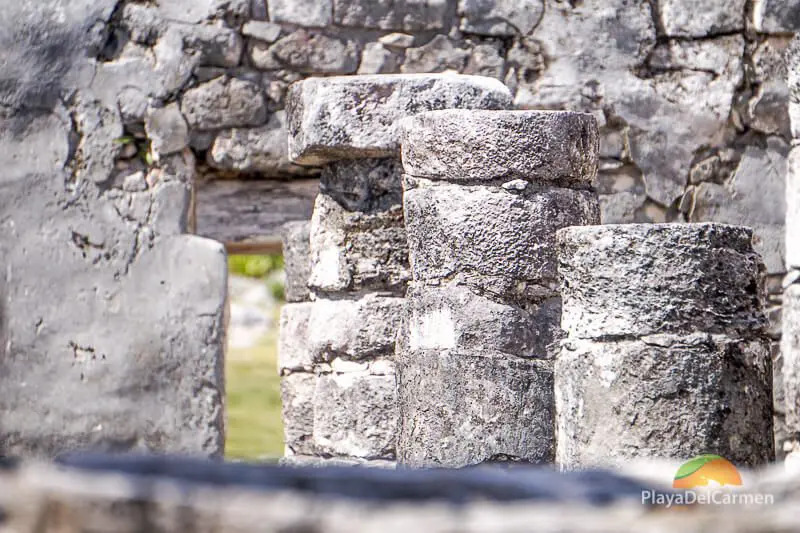 2. Who Built the Tulum Ruins? You’re probably thinking Mayans, right? That would be the easy answer. Of course, that’s like saying that the French built the Statue of Liberty. According to archaeological findings at the Tulum Ruins, the site began to be inhabited as early as 564 A.D. Although with never more than an estimated 1,600 inhabitants, the site remained occupied until shortly before the end of the 16th century. That’s when disease brought by the Spanish eliminated the majority of the population. Over a period of 7 centuries, rulers came and went. 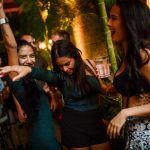 The city we know as Tulum was transformed by each new generation of inhabitants and their respective styles and influences. 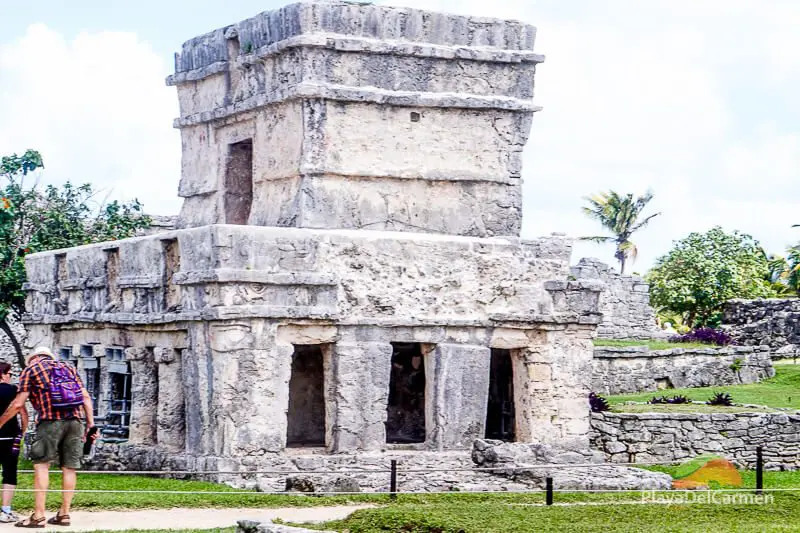 As a result, like in other Mayan ruins of the Yucatan Peninsula, many of the buildings fuse different architectural styles depending on the epoch in which they were built or expanded upon. It was one of the few enclosed cities built by the Mayas. With walls on three sides and the Caribbean Sea on the other, Tulum was built to be a fortress. 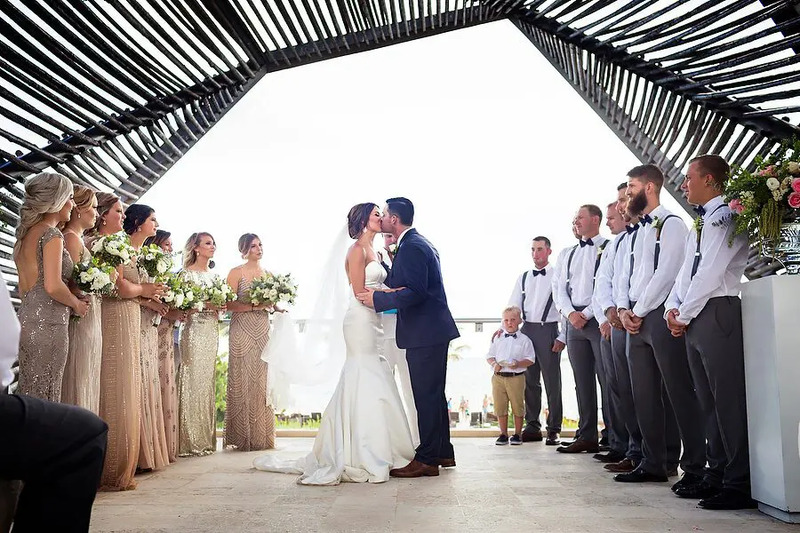 No more than 1,600 ever lived in Tulum at one time, meaning it was more of a religious and ceremonial center rather than a population center. 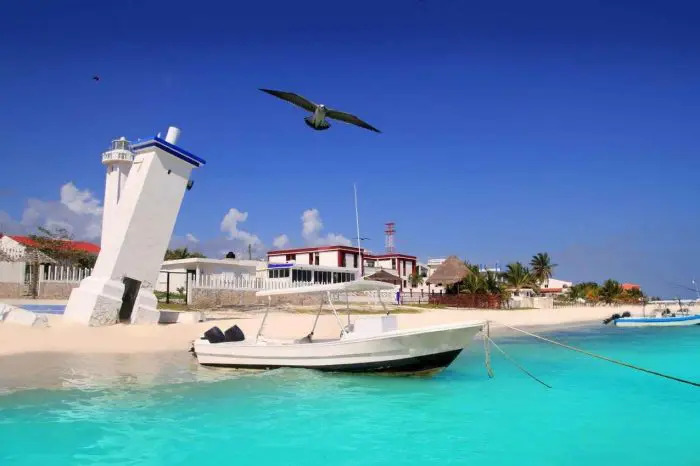 The town served as a major gateway for connecting the Yucatan Peninsula and the Gulf of Mexico with the Mayan peoples of Honduras and modern-day Central America. 4. What Are the Hours for the Tulum Ruins? The Tulum ruins are open Monday through Sunday from 8 a.m. to 5 p.m. Entrance is free to all archaeological sites on Sundays for Mexican citizens and foreign residents. 5. 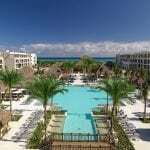 How Much do Tulum Ruins Cost? 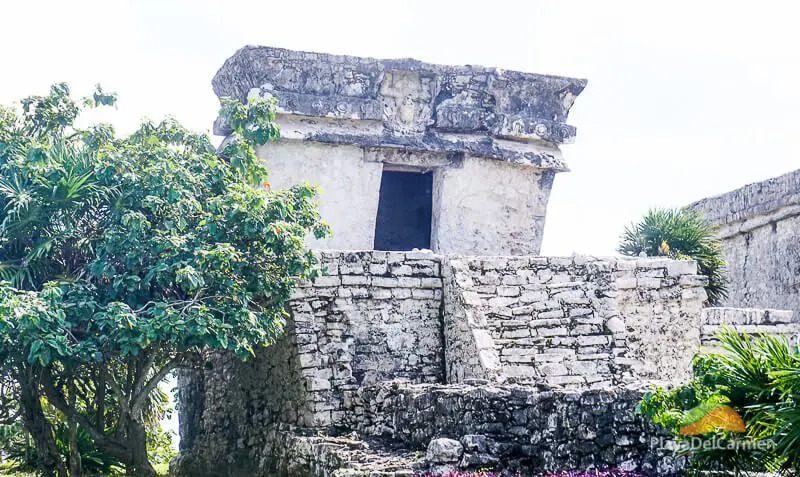 The cost of your visit to Tulum will depend on how exactly you prefer to wander these ancient testaments to the amazing civilization of the Maya. If you prefer to go on your own with no guide, the cost of entrance is just 65 pesos = $3-4 USD. Because the ruins are a little removed from the parking lot, a folkloric train is available to take you to the entrance and is another 20 pesos = $1 USD per person. If you choose to walk instead this can take around 10-15 minutes but is VERY hot during the dry season from Nov-June. To get to the ruins yourself you can either take public transportation for 50 pesos = $2-3 USD per person or go by car and pay 120 pesos = $6 USD for parking. To get the most from your experience? Go on a guided tour. This is what we definitely recommend, as you can do a great combo tour of Tulum and Xel-Ha at 15% off. In the end, about 2 hours at the park is enough to see everything, and combining it with one of Mexico’s most famous eco-parks is a great option for the entire family. 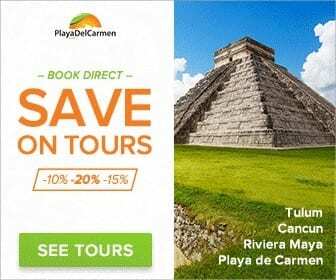 The cost of the tour is $149 USD for adults and $74.50 USD for children and includes all entrance fees, professional guide, and entrance to the all-inclusive Xel-Ha Park. 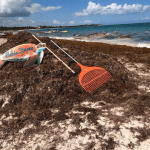 If you prefer to snorkel with sea turtles or do some zip lining, you can also combine a visit to Tulum with snorkeling with sea turtles/Cenotes or going full-on with Tulum Xtreme. I recently did the Tulum Full-Day Explorer Tour, here’s a video from my day! 7. Are the Tulum Ruins Worth Seeing? Yes, yes, and yes they are worth seeing. Are you interested in learning more about the people and history of the places you visit? Do you enjoy the opportunity to see pyramids like the ones you can only find in this region of Mexico and Central America? 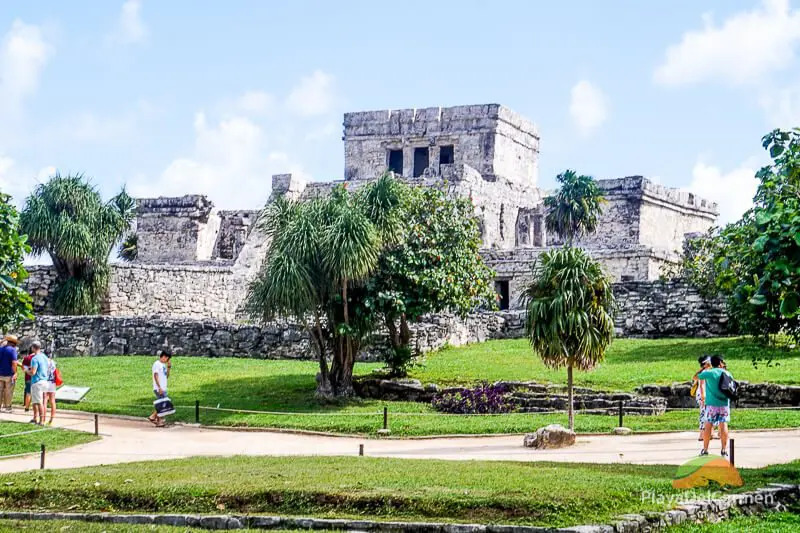 However, if you’re looking for a more in-depth experience into the fascinating world of the Maya, you may want to consider either combining a visit to the Tulum ruins with a trip to other archaeological sites or visiting some other ruins altogether. Which ruins would we recommend that you visit? As mentioned above, Chichen Itza offers a more holistic view and history of the ancient Maya. 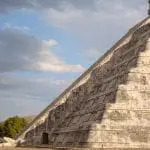 You also have the chance to visit the most famous pyramid in the entire region: the great Kukulkan Pyramid. The only problem with the Chichen Itza tour is that it is very long. 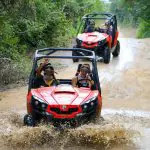 Expect to spend about 11 to 12 hours between round-trip transportation, visiting the site, lunch, and a trip to a beautiful cenote. If that’s your thing, we definitely recommend the Chichen Itza tour at 15% off. 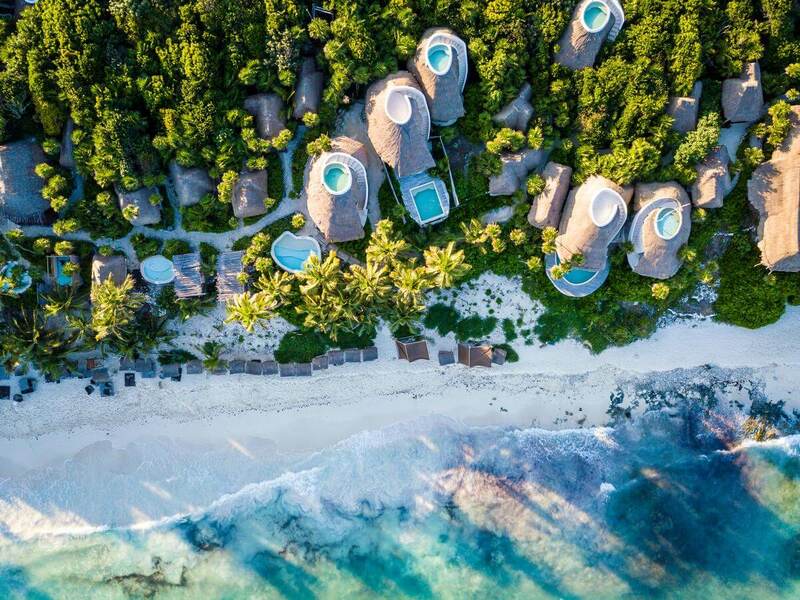 However, if time is of an essence and you would like to have a light version of the history and architecture, then Tulum offers a great alternative, plus the beach in Tulum is not to be missed! Of course, there are also several other great archaeological sites to visit in the surrounding region. 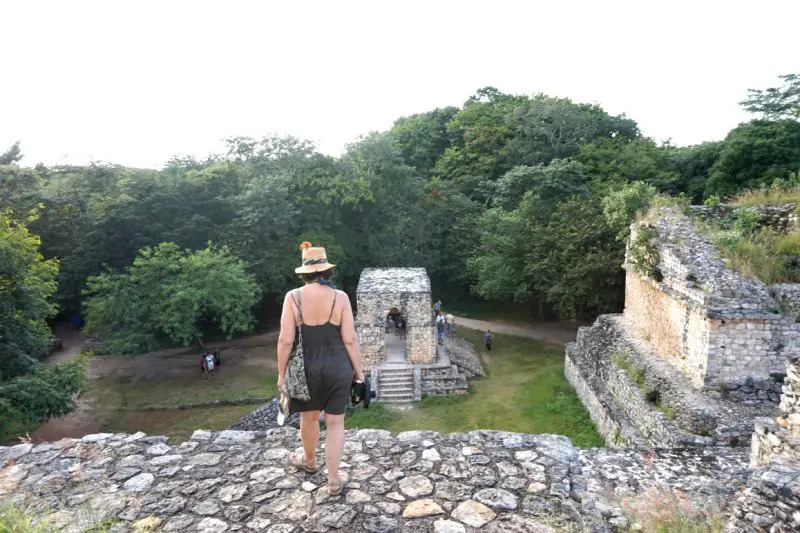 The 2 that we would recommend in addition to Tulum and Chichen Itza are the Coba ruins and Ek Balam. 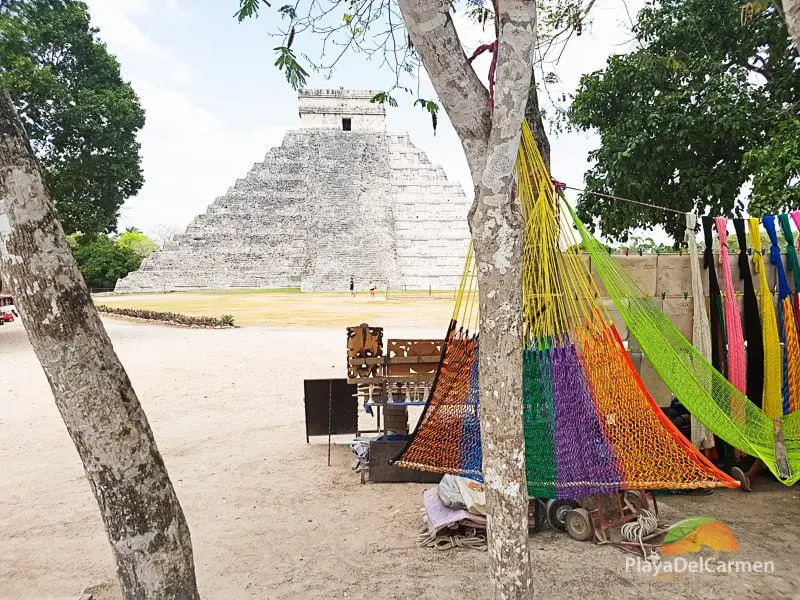 For more information on their location and a bit of background information, be sure to read our article on where are the Mayan Ruins. 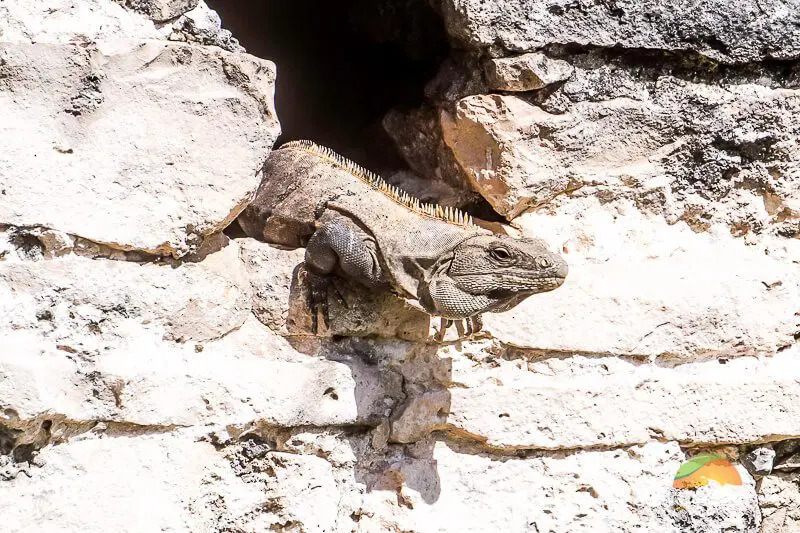 If you decided to visit the Tulum ruins on your own, in all likelihood your next destination is Tulum for some beach and a bite to eat. The Tulum beaches are stunningly beautiful. But before you go, make a stop in town and get a bite to eat. For seafood, be sure to visit El Camello, located on the southern outskirts of town. If you’re wanting some more Mexican or international fair, don’t miss a stop at Don Cafeto’s. Not only is Don Cafeto’s a great place to sit and people watch, but they also have strong coffee and great food (be sure to try a drink called Chiagra!). 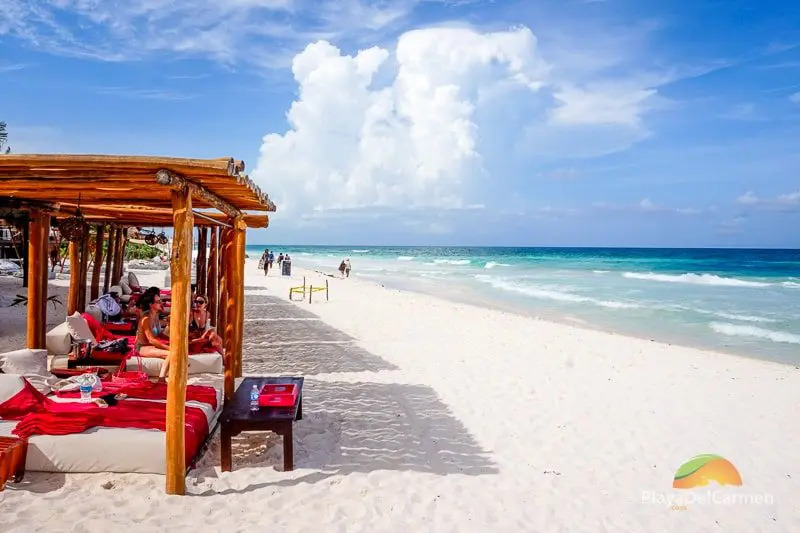 The route from Playa del Carmen to the Tulum archaeological site is about a 50-minute drive and 38 miles south of your fabulous home away from home. 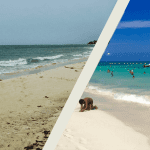 You can either take the ‘combi’ or ‘colectivo’ mentioned above, which depart Playa del Carmen from 2nd Street between 10th and 15th Avenues or you can rent a car / go on an organized tour. 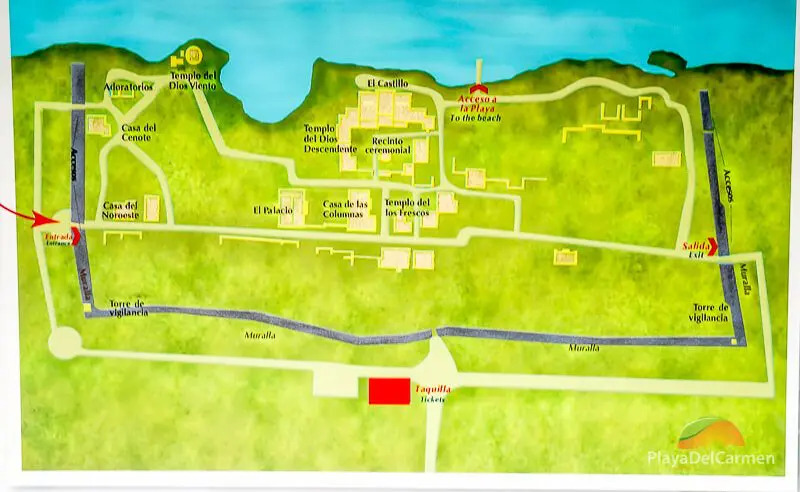 As you can see in the map below, the Tulum ruins are not as extensive as they are fascinating. Several of the buildings to the west provide stunning views (and backdrops for those selfies) of the Caribbean Sea. All are full of history and wonder and are worth the time spent learning about them. Be aware, however, that there is little signage to help you understand the importance of each building without the help of a professional guide. Ready to don that Indiana Jones look and set out on your next adventure? 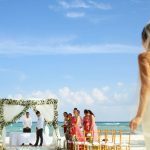 Our ever savvy travel consultants at PlayaDelCarmen.com can guide you through the jungle of choosing the right hotel and activities. 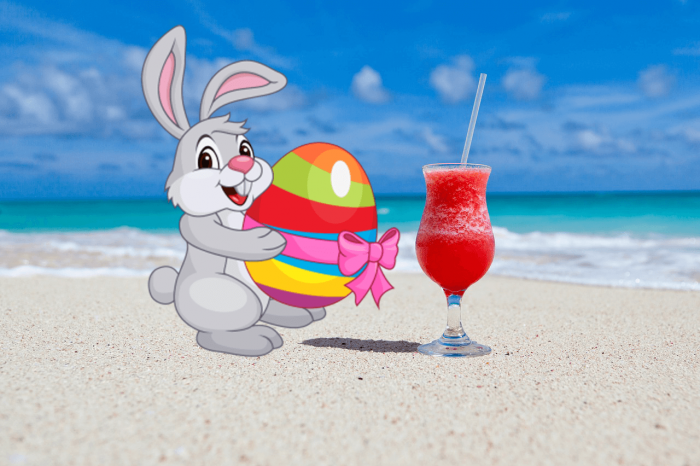 Call us toll-free today at 1-888-537-9797 or email us for help booking your next vacation. If you do Tulum on your own, will you receive a map of the ruins or do I need to print one off at home? Hello! Do you have any suggestions for self guided tours? 3 little kids in tow so self guided will be the easiest. Thank you for this post. I already visited Tulum last year and through the help of Oscar Cancun Shuttle service, I covered another tourist destination in Cancun. Hola Walter, what a lovely comment to read, we are so pleased you enjoyed our guides. They really are worth it because they are so knowledgeable and make the experiences a lot more memorable. Come back soon! 🙂 Be sure to let us know when you are thinking because we will be able to save you money on tours and hotels. Have a great day! Hi, from the Playa del Carmen area would you recommend a visit to the Tulum Ruins or Chichen Itza? And do either of them have other things to explore within walking distance (shops, snacks, etc). We would be getting there via public transport/tour so would not have access to a car to explore a wider area. Thanks! We are staying in playacar, is there transportation available from there? Also my wife has mobility problems so are possibly wheelchairs or something available? Or at minimum somewhere shaded & cool regularly for her to rest along the way? Take water, bar and wear very comfortable shoes!